Don’t let extended time outdoors be ruined by a shift in temperature. Whether you are working a long shift, camping for the weekend, or heading out to hunt or camp for the entire day, you need to be properly protected to stay comfortable throughout the day. When planning for extended time outdoors, you likely plan for a number of things – where you’ll be, what you’ll be doing, what you’ll eat and more. But do you plan for how the weather conditions are going to change significantly because of the length of time you’ll be outside? It is important to think about the wide range of temperatures you will experience and plan accordingly. How often, when checking the weather, do you check both the high and low? Most of us just check the high, especially in the summer when heat is really what our focus is on. But that low temperature is just as important, because it might mean you need different gear for once the sun goes down (or before the sun comes up, if your day is starting before dawn). Once you know if the temperature is going to change enough to require gear for both chilly and hot conditions, it is time to prepare. When you’ll be experiencing a big shift in temperatures, you not only want gear that can protect you but that stores easily. Bulky or heavy items will need to be carried when not being used, and that adds to the weight and size of your pack. Think about lightweight gear paired with base and mid-layers. Are you going from cold, pre-dawn temperatures into hot, mid-day temperatures? 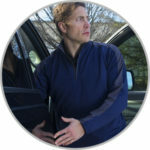 Choose easy to remove layers to combat rising temperatures. And don’t forget gear like water, sunscreen, and headwear. Going from hot, mid-day activities where you’ll be sweating into chilly nights? Sweat cools you, so moisture-wicking layers are vital to keep you warm as the temperature drops. 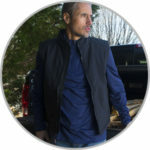 Vests provide vital core warmth while leaving your arms free for activities. They offer less bulk, making them easy to store when not needed. 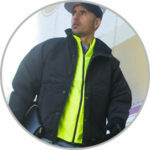 Often in mild temperatures you can overheat with a full jacket but it is still too chilly to go without any protection. A vest offers better temperature control in a wider range of temperatures. Conditions outdoors are unpredictable, and weather forecasts can only tell you so much. Rain, wind, and other inclement weather can happen at any time and affect your comfort. 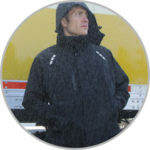 Waterproof and wind-tight gear protects you from the elements. Choose unlined protection to wear in warm conditions all the way up to 3-in-1 rain jackets to cover a range of temperatures and moisture. Don’t let temperature swings affect your performance or enjoyment of the outdoors. Prepare properly and you can handle anything Mother Nature throws at you!